There were the best of times — but perhaps also the worst of times. We peruse some of the arts news tidings from the last twelve months. Writer Ellie Omiya’s interactive exhibition at Parco, “Conveying Thoughts”, proved a big hit with fans (12,000 visitors!) — so much so that she has created a sequel for 2013. After being cancelled in the wake of the Tohoku and Fukushima disasters last year, Roppongi Art Night returned with its usual array of family-friendly colour and balloons. Takashi Murakami then conquered the world… from the sands of Doha, Qatar, with his “Ego” exhibition. 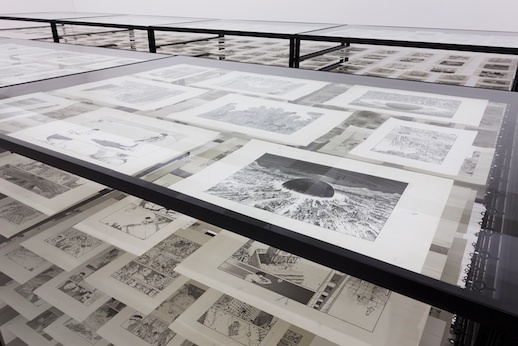 In Tokyo, meanwhile, Hikarie opened in Shibuya, hosting several art galleries, a theatre and more shops than you could ever hope for… The “Katsuhiro Otomo: Genga (Original Drawings)” exhibition also proved immensely popular at 3331 Arts Chiyoda. The much-anticipated Tokyo Sky Tree finally opened (on a very wet day) and so far the fanfare has proved justifiable. Despite the steep admission, the new landmark in east Tokyo is packing in camera-clicking visitors. Also in May, the fringe theatre world was rocked by a minor scandal when Banana Gakuen Theatre Company, known for its highly aggressive performances where audiences are pelted and “attacked”, was accused of going too far in the way it literally handled audience members who had been dragged on stage. A male, masked performer may or may not have groped a female spectator and the resulting explosion of criticism — only conducted by unconnected third parties within the safe confines of Twitter, natch — resulted in the company first having its next engagements cancelled, and then eventually the group being forced to disband. Putting aside the veracity of the claims and the whole art vs. legal technicalities argument, such Twitter-lynching is becoming an alarming trend in Japan and having a serious effect on the temerity of fringe artists. Adrian Favell, a British academic based in France (albeit a very frequent visitor to these shores), set off a firestorm for daring to criticize the business practices of Yoshitomo Nara. Ironically enough, he had already used the same text in his just-published book, Before and After Superflat — but it was not until he put an excerpt online and got it translated (not so sensitively, apparently), that Nara, the Untouchable God of Japanese Comtemporary Art, reacted on Twitter and rallied his supporters to lynch the unwitting foreign upstart. Favell really got himself into hot water by bringing up questions not on the merits of Nara’s art, but rather his slacker, seemingly innocuous professional modus operandi (which possibly exploits others). It is curious, though, that it was only after the extract appeared online and in Japanese translation that the proverbial you-know-what hit the fan. It seems that books don’t cut the mustard in these digital days. What seemed to irk and rile was not so much Favell’s analytical flights as his breezy writing style (which does not translate well), the reliance on hearsay and seemingly second-hand sources, and the absence of footnotes or references to back up what, for example, Nara was meant to have said once in passing. A compilation of the disputed points has now also been published. This blogger at any rate is a big advocate of taking Murakami, Nara et al down a peg or two (or many, many pegs in fact), and stating their business ‘acumen’ in the harsh black and white that it deserves. 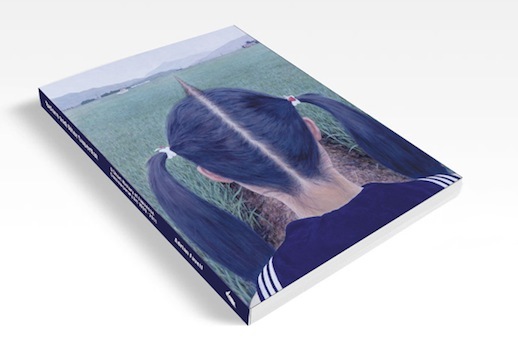 Ashley Rawlings has pointed out, though, the book’s non-academic approach makes it accessible but people with more knowledge of the scene may be surprised by the omission of some galleries and artists. 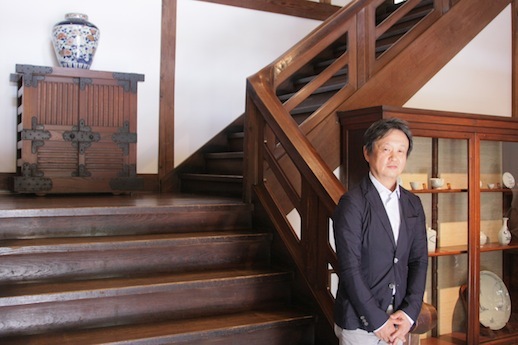 Also this month albeit with less contention, the Water and Land – Niigata Art Festival 2012 opened (this year there is also the Echigo-Tsumari Art Triennale in the region too), and designer Naoto Fukasawa was appointed to be director of the Japan Folk Crafts Museum. Plus Ryuichi Sakamoto, Kraftwerk and friends played a weekend of No Nukes Concerts at Makuhari Messe (and online on Ustream). Popular known as “Geigeki”, the Tokyo Metropolitan Theatre in Ikebukuro opened after over a year of major renovation work. 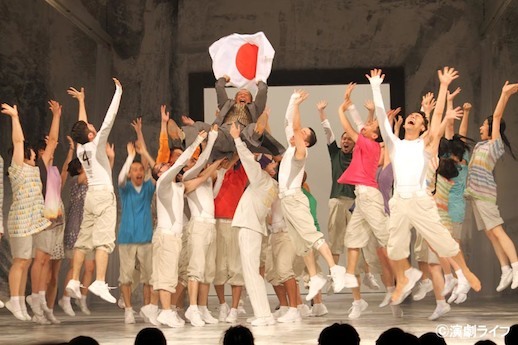 Its first major production was “Egg”, a satiric look at Olympic fever, written and directed by the venue’s artistic director, Hideki Noda. In October Tokyo Station also re-opened, cleaned, improved… and with art spaces too! 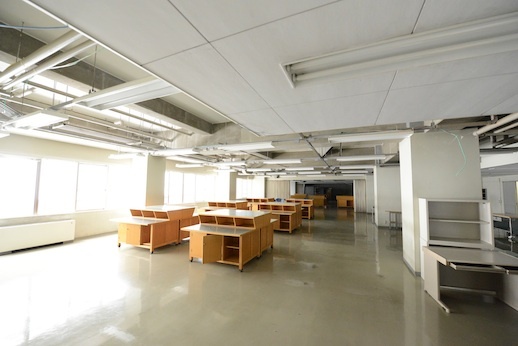 October and November then saw “Trans Art Tokyo” occupy the soon-to-be-demolished Tokyo Denki University building, though the scale of the venue seemed to overwhelm visitors. A string of art exhibitions and other events were cancelled in both China and Japan as relations between the two countries soured during the autumn’s Senkaku/Diaoyu Islands dispute. With a new Prime Minister installed, we are waiting to see what effect this has on the diplomacy — and then, by extension, on the art world. Well, thank god for small mercies; at least Tokma did not get elected as Tokyo Governor. Yayoi Kusama, or at least her gallery and management, proved their usual adept selves at traversing both yet more fashion brand collaborations and also major exhibitions at the Tate Modern and in Japan. And finally… Mono-ha and GUTAI, two post-war art movements probably deemed rather esoteric by most of the Murakami generation of art fans, both continued to gain in recognition this year, with large-scale exhibitions abroad and domestically (a sort of de facto Mono-ha revival has been underway since last year). 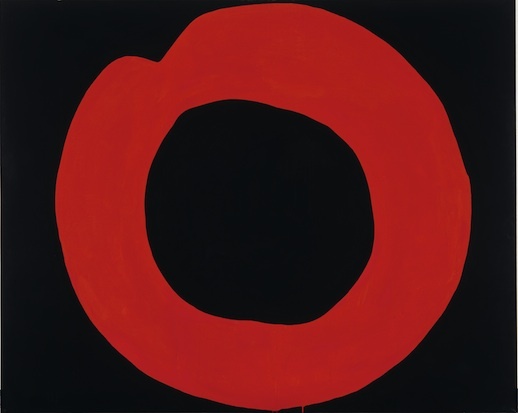 A current MoMA exhibition in New York is also assessing the oeuvre of Japanese post-war avant-garde arts. A condensed version of this article first appeared in Japanese in the November-December Tokyo Art Beat Art Map. For an in-depth look at the exhibitions and art events in 2012, see TABlog’s Year in Review article.